We are an organisation founded to facilitate contact with Extra-terrestrial civilisations , to both support the growth of human consciousness and to ultimately help enable mankind to become one with our cosmic family. We are currently the only ET contact / telepathy centre in the UK. Alfred has developed an effective telepathic communication system for promoting scientific and cultutural exchange between ET and humanity, and has a vision we share, of loving , friendly, and mutually beneficial contact between humanity and ET civilisations. The possibilities for the expansion of human consciousness, the refinement of human culture, and the radical innovation of our understanding of science leading to the development of clean and free energy systems, are enormous, and of great significance in this pivotal point of humanity’s evolution. Our goal is to assist humanity in joining the intergalactic and inter-dimensional communities through teaching the practices of meditation, telepathy, and also teaching the techniques to call ET craft telepathically using a form of projected loving intention , commonly known as CE5 , or human-initiated ET contact. The programs taught are to facilitate an uplifting direct one-to-one experience of the highly evolved ET beings, and an expansion of consciousness, using the modalities of telepathy , CE5 , and psychic development. 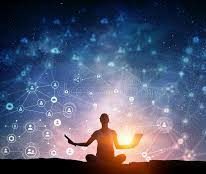 By connecting to the higher vibration of ET consciousness, and through telepathic contact, we evolve human consciousness, realise our unity with all beings in one divine consciousness field, and pave the way for open contact between humanity and the non-terrestrial intelligences. We hope you will find the ideas in these pages interesting, and extend a warm welcome to anyone who wishes to connect with our cosmic family. You have come to the right place !